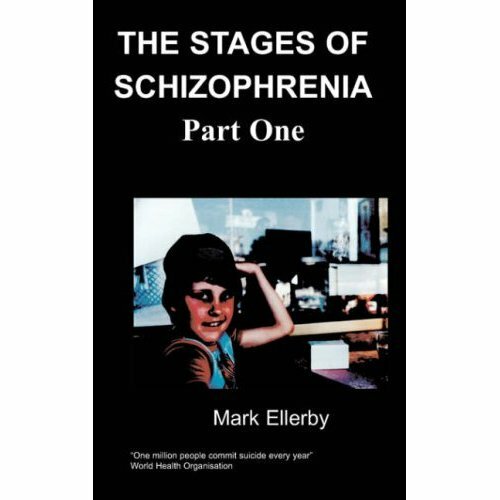 Drugs, delusions and disorders, a five year jaunt through the many afflictions of one man who just refused to die. A true story about how a man's madness turned into a search for the answers to great philosphical questions in order to regain his sanity. The book which casually jumps from comedy through tragedy and borders on philosophy is an account of many of the mental health problems that can affect a person, depression, post traumatic stress, messianic and psychotic delusions and social anxiety from a man who experienced them all and experienced them while on drugs. Madness is not a description that fully does justice to the many experiences and choices of this one peculiar man. Jack Fenix was born in October of 1986 and raised for most of his life by a single mother. From a young age he began having the delusion that he was meant to save the world, his first experience of mental illness, and became more engrossed in it as time passed. Experiencing post traumatic stress disorder at age fifteen he withdrew from the world even further into drug addiction and using computer games as another means of escapism. At age eighteen he was hit by a further traumatic incident which forced him to face up to years of mental illness and delusion and quit the drugs which he had used to keep himself from facing reality. After years in recovery he faces many mental health problems but tries to stay active in the cause of mental health reform as much as possible. My madness was the belief that I was supposed to save the world from a great tragedy looming over the horizon, that I would find superpowers and defeat great evil known only as the figure I call 'The Green Jacket'. For most of my life I could not accept that this was delusion and rarely spoke about it for fear of my delusions being contradicted. It wasn't until I was hit by post-traumatic stress disorder which drove me to drug addiction that mental health became a priority for me and my visions were uncovered as delusions. Messianic delusions, post-traumatic stress, depression and further psychotic delusions about conspiracies, I have been through a great deal of the madness that's out there and yet at times when I look at the world I still wonder why I am the only sane person here. I wanted to write this book because my madness has been a gift at times as well as a curse, because I wanted to be a part of helping our view of mental health issues be reformed to the point where it no longer scares people into silence or ignorance. Finally because there is no person alive on this planet who is completely sane and those who suffer from mental health problems are no different from you and it could have so easily been and still so easily might be you. We need to see this for what it is, an illness. We no longer fear many illnesses because we can cure them and we can treat them, mental illness is one of the few treatable and perhaps curable sets of conditions that are still feared as if it were leprosy in the first century AD. This attitude needs to change and we all need to learn because ignorance not only blocks sufferers from finding their footing in life but when it strikes someone with prejudices it can even prevent them from finding treatment for something they can't accept they have. One in four people directly suffers from mental health problems at some stage in their life, that's over one billion people worldwide and yet it is the only issue of such great consequence to be so frequently ignored. Things need to change, I only hope that this book can do some good and that at the very least it won't be responsible for something bad. I was crazy for a long time before I went insane, I grew up noticing that the way people treat each other is insane. We all want happiness, love and security yet to get those things we're quite willing to take them from others. It's insane, like someone deciding to poison the atmosphere over a 'foreign' continent thinking, "That'll show 'em!" We all breathe the same air, we all live in the same world. Much as poison released far away will eventually diffuse into the atmosphere and poison the entire world, so do hateful actions whether you see it or not eventually make things worse for everyone. That is Karma, meaning action but also consequence. I was seven years old when I saw this. Being the only sane person on Earth has a way of making you crazy. A little western boy and completely oblivious to Buddhism I assumed that since no-one else I knew seemed to see it that I was the only one who knew. Seven years old and coming to the conclusion that I alone could save the world, I should've been raised in a temple by monks and never felt so alone as I did that day. I despaired not only to see that the world was a place of exploitation and hate, but that so few even care. This place is so wrong, there is something wrong here. Like a black hand that twisted our past, controlled our minds and manipulated our future. There was something so wrong I could feel it without knowing it was there, like the unknown variable without which the results of the simulation are massively different. Whether I was right or not I don't know, but I didn't want to believe either that some people are just stupid, or that some people are just evil. Without some dark force controlling the world one of these things or both had to be true.